With the successful launch of TITANS 1v1 ranked ladder season 2 with new leaderboards it’s back to toiling away in the update mines. In the background, work continues on our tech upgrade and the prerequisites necessary to transition to the new PAnet infrastructure. While these 2019 long-term goals remain long-term, we still want to deliver some additional improvements to the game that is currently in your hands and ensure support for the widest playerbase possible. You should try out our modern build branch, which will eventually replace the legacy branch, if you’d like to enjoy some performance and stability enhancements right now including an update to Coherent UI, the framework for our moddable user interface. With 113132 we have switched to the modern build as our default client and we hope you enjoy the performance enhancements of our modern toolchain. If you have any issues with the modern build you can fallback to the legacy build. See our Happy New Year update for a reminder of the modern build details. We’ve seen an increase in the number of non-English speaking players playing our game and we want to make sure we’re giving you our full support. We have engaged with a new translation team to update and improve the existing translations, replace community translations, and add support for Japanese. We’re also updating Community Mods to allow for mod translations. As you can imagine this is a big job so we’ll be doing it in a number of passes, focusing first on adding missing strings. Report issues with existing translations in this thread. Also in the works are plans to add servers in South-East Asia (SEA) once we complete our migration to PAnet. We’re roughly halfway through season 2, which means it’s time for mid-season prizes. Congratulations to all those who fought the good fight, blew up a whole lot of robots, and are walking away with their well deserved spoils. Winners will be contacted shortly to arrange payment of their prize. Now we enter the second-half of the season, and that means there’s US$1000 up for grabs for the Uber #1 spot. We’ve seen the return of some big names from the past, so we expect the battle to be hard fought. There will also be another round of most active prizes for each league. You can check out the full prize details in our season 2 announcement post. We’re also making a few map adjustments based on feedback and game review. These are intended to improve the flow of play and your general 1v1 ranked experience. It wouldn’t be PA if we didn’t keep improving the AI. Some of you noticed it was seeming a little under the weather recently, but we found the cause and administered treatment. Now the AI should be face rolling you once more. This includes improved air and naval attacks. You may also notice it’s more prone to bombarding you from the coast too. Ooooo, nasty. As many of you will know, the AI’s Commander often liked to plant both feet in the soil, hold the line, and then explode in combat against forces it should never have fought. These Commanders are expensive to replace, so we’ve taught it that discretion is the better form of valour, leading to less unnecessary deaths, and it surviving to deliver the late game awesomeness we know you want. Lastly, we did some work on enhancing the speed with which the AI processes all this information, making it more efficient than before. Air has been a continuous thorn in the side of balance, often overwhelming the defences intended to stop it due to the ability for a player to commit their full strength to every engagement. In an effort to combat this we have boosted the strength of all land anti-air, including the Commander, with the intent to allow a greater diversity of play and hopefully reduce the massive fighter blobs. No longer will your Dox fight in the shade. The Locust has also seen a further nerf, with a reduction to health. 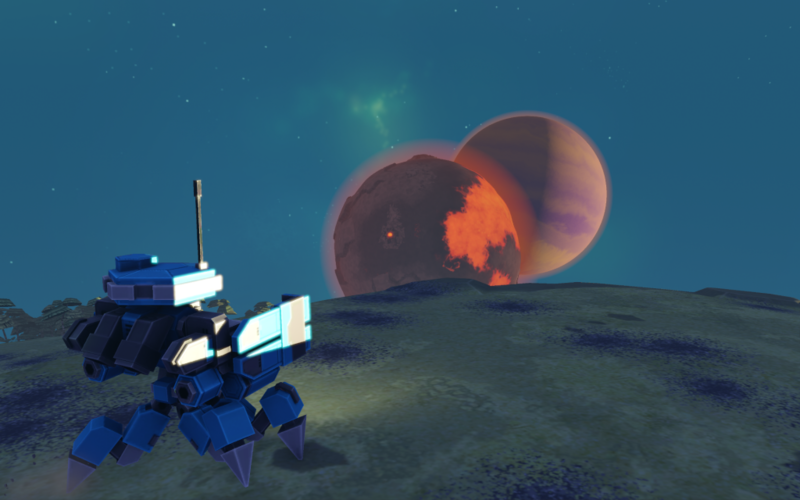 This allows for units like the Laser Defense Tower to kill them with a single shot. They’re still devastating if undetected, but easier to stop once spotted. The Icarus has had a minor change made to its attack behaviour so that it attacks like a gunship. Will this make it a powerful weapon of destruction? Nope. Will it make it look so much cooler before it explodes? You bet. It will also be slightly harder for Dox to hit. We, and our community testers, have spent many hours hammering away, looking for any defects so that we could reap a bountiful harvest of logs and crash dumps. These have been used to squash a number of crash root causes, including the single largest cause of server crashes. In our modern build we have also updated Coherent UI to resolve a defect we identified which could cause client crashes. Stability remains a big focus going forward, and an area we continue to work on. Thanks to everyone who helped us by running the PTE build. This is an update about language and you skipped it? Are you aware of irony? Aww yiss, this is the good stuff. 113044 reverts to libsdl 2.0.8 for Windows. 113046-legacy fixes missing unit selection ring. UPDATE: We have expanded the participation prizes to include the three most active players in each of the five leagues for a total prize pool of US$4,500 this season. Season one of 1v1 ranked has ended, so let us give our congratulations to [TNC] [Nik] NikolaMX, a player so humble he put his own name in a clan tag. Fighting off many worthy opponents he has dominated the Uber league, holding the #1 position for most of the season. An Invictus statue will be on its way to our deserving season 1 winner. All ranks have been reset; everything is up for grabs again. A new season needs new maps. As you know we introduced four new maps mid-way through the previous season, and they’ll be carrying over to season two. But the rest of the maps have been taken out back and… retired. Sleep well old maps, you’ve served your time. Replacing them are eleven brand new maps. New maps mean new strategies, and everyone is on an even footing because no one has had a chance to practice these before. We look forward to seeing what you make of them and hearing your thoughts on how they play. These maps will also be made available to play in custom lobbies in the near future. Of course, what season is complete without prizes? And what could possibly top an Invictus Commander statue? Like that relative that doesn’t know what to get you as a present, we opted for cold, hard cash. Nice. The player who holds Uber #1 at the mid-season point (2019-03-08 00:00 UTC) will be awarded US$500. The player who is Uber #1 at the end of the season (2019-04-26 00:00 UTC) will receive US$1,000. But what about those of you playing in Bronze reading this and thinking, I’m never going to hit Uber so what do I care? Well we’ve got you covered too. Maximum annual winnings for Uber #1 is US$6,800 if you hold the position all year and play the most! 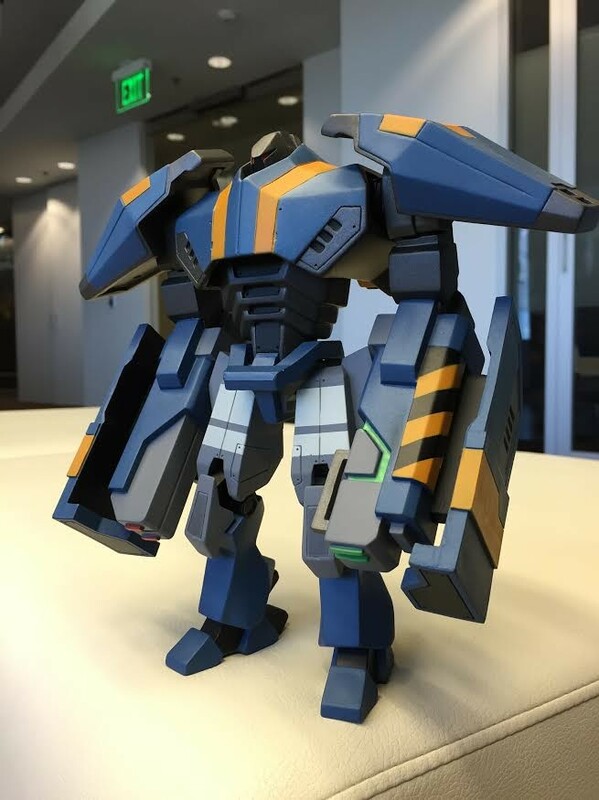 All prizes are awarded at the discretion of Planetary Annihilation Inc. Players in breach of the Planetary Annihilation Community Rules and Guidelines may be disqualified. The decision of Planetary Annihilation Inc is final. Seriously? We spent a lot of time writing all that. Millennials are ruining the patch note industry. Our ladder uses a tried and tested ranking algorithm, with numerous best practices for implementation. To oversimplify, all players have two scores: stable and volatile. The former is a rating which the system has a high confidence in and should be used for ranking, avoiding placing a player too highly based on a few good games. The latter is a lower confidence rating, but looks at the potential of the player. Volatile and stable are used for matchmaking to find opponents of the right difficulty. Think of stable as reflecting how good we know you are, while volatile is how good you might be. Over time these two ratings will converge. During work to migrate to PAnet we have been examining the code underpinning the ladder and identified an issue. Rather than using the stable rating for ranks the ladder had been implemented using the volatile rating, leading to wild swings in position and players being placed in high level leagues far too easily. This runs counter to the goal of the ranking system: rewarding consistency of play over time. A fix for this has been deployed and players have had their position on the ladder updated accordingly. All games played this season remain valid, none of your results have been lost or invalidated as a result of this change. The only change is to leaderboard ranks. This does not impact the result of season 1, we reviewed the data and [TNC] [Nik] NikolaMX was the clear winner. Players with few games in ranked will likely find they have dropped to a lower rank, or even league. The key to your rank now is consistency over a large number of games. You will no longer be able to obtain Uber status with only a few games. We debated leaving the ranking system unchanged for season 2, but decided as it was still very early in the season it was best for the health and integrity of the ladder that an immediate fix be deployed. This will lead to a better experience for everyone, avoiding the issue of players with a small number of games camping high ranking positions, allowing players who continue to play to see an improvement over time. You will see a significant change in the number of players within each league at first. These numbers should change over time as players play more games. Thresholds for each league have not changed and we will be reviewing the season 2 data for possible adjustments in season 3. We hope this improved transparency, in combination with the leaderboard correction, will make for a more satisfying ranked experience. Finally, players new to the ladder must complete 10 games before being assigned a rank. This allows the system to ensure a more accurate rating before adding people to a league. Bulkhead has also been updated with a fix for missing metal spots that were identified. For season 2 we are monitoring the use of smurfs and player behaviour. That may result in some changes, some warnings, some season bans and some permanent bans (a number of which have already been applied). We strongly recommend you play on your own main account, be respectful in chat and avoid impersonating other players. Our faster modern toolchain server build with multi-threading is now live on official servers! This should mean the servers perform better than ever before, especially on multi-planet systems. The modern client with local server remain opt-in via the modern BETA in Steam and the PA launcher. If you are playing single player with a local server or hosting LAN games we encourage you try the modern client. 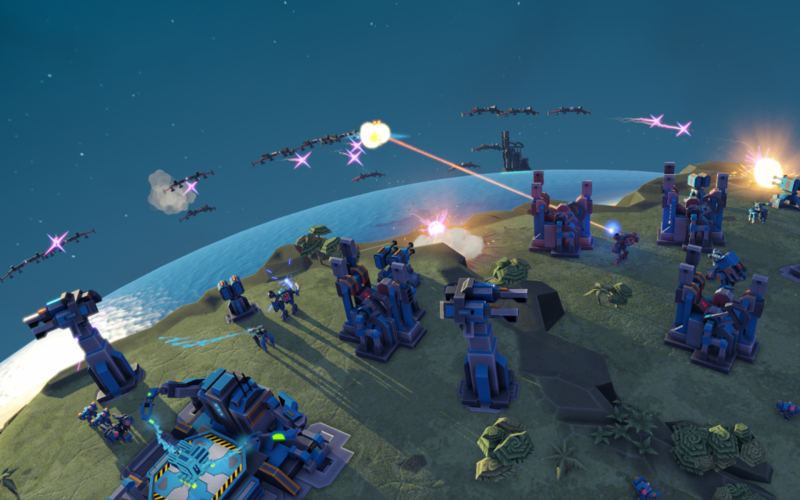 To help new players pick up the game faster, the Planetary Annihilation guides section is now a one-stop shop for everything you wanted to know about Planetary Annihilation but didn’t know to ask. Your complaints about dodging in ranked have also been heard. Not only have we removed ranked queue status information from Community Chat, we’ve also anonymised names in the ranked lobby and removed the ability to leave the lobby. You really are trapped in there with your opponent now, so don’t queue if you don’t intend to play. We’ve also got AI upgrades for the single-player and comp stomp crowd. The neural network’s fitness function (it sounds technical which means it’s impressive) has been reworked so that the AI is smarter about the way it evaluates battles. Another long-standing AI request was the ability to select which Commander the AI uses. We promised to add this and so we have. Please feel free to admire the new Commander selection UI, making better use of your screen real estate. We’ve continued to keep an eye on crash reports and have put a lot of effort into eliminating everything we can. 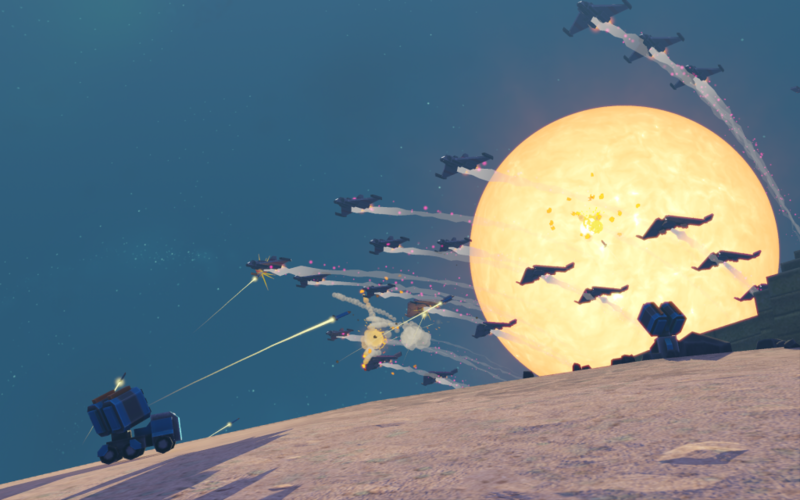 You should find Planetary Annihilation an even more stable experience than before. We’ll continue to keep an eye on things to see what else might crawl out of the woodwork. Some of these things can be pretty edgecase, but we won’t stop in trying to track them all down, we hate crashes even more than you do. Audio modding has arrived, so modders can now add whatever sounds they like to the game, either overwriting existing sounds or even adding completely new ones. Give your new unit its own style as it threatens doom to its enemies. Break subwoofers everywhere with extra bass in every shot sound effect. Replace the in-game VO with your own voice so you can literally congratulate yourself on your wins, you egotistical monster. We look forward to seeing what you come up with. As a final thanks for continuing to play Planetary Annihilation TITANS we have added two NEW dedicated servers running the latest modern linux builds that can handle epic games of up to 32 players. A number of trusted community members have been given the keys, so keep an eye out in Community Chat and the official Planetary Annihilation Discord for announcements of big games. You haven’t truly won a game of Planetary Annihilation until you stand victorious on the wreckage of 31 other Commanders. Next year we will be moving to PAnet, which will replace the legacy UberNet infrastructure with modern server environments. Eventually all the legacy Windows servers will be replaced with faster modern Linux servers. As we enter the holiday season we bring you a little present in the form of not one, but two(!) Public Test Environment (PTE) builds. That’s right, the choice is yours. But before we get ahead of ourselves, a little reminder that PTE builds are opt-in and an opportunity for you to try out new features before we move them to stable. They may be a little unstable, a little rough around the edges, but they’re the cutting edge of Planetary Annihilation. Check this guide on how to opt-in to PTE. Work on Planetary Annihilation started back in 2012, and it was built using the latest and greatest tooling at the time. But like the Progenitors, things have moved on and tooling has improved. This PTE comes in both legacy and modern build flavours, using either the build tools PA has been using since release, or the modern 2018 goodness. Newer tools allow us to lower RAM usage and boost performance, among other benefits. Of course this also means it’s less well tested and therefore possibly less stable at this time. The PTE will be running its own servers, separate from the stable servers, and all of them running the modern build. This is the place to come for cutting edge performance. Bring your friends! It’s not just about tech though, there’s a host of goodness packed into this update. In particular, the AI has once again undergone brain surgery to improve the way it evaluates battles, making it smarter about when to fight and when to ru… execute a tactical withdrawal. Modders should make sure to hop onto this PTE to take advantage of the new audio modding capabilities and get their sweet audio goodness ready to launch alongside this update when it hits stable. We also nipped in the bud most of the major crash sources we’ve identified. You can help us find more by running the modern build. We salute your sacrifice, Commander. Crash dumps are now stored in the log folder (varies by OS) instead of a temp folder. On Windows, a DxDiag report (stripped of all personally identifiable info) is now automatically attached to crash reports. Our legacy infrastructure hit a 10GB limit for archived game summaries. That’s a lot of games! We hope you enjoyed the multithreading technical update from Sorian. The work on modernising Planetary Annihilation continues and we will bring you more of that sweet technical goodness in future posts. 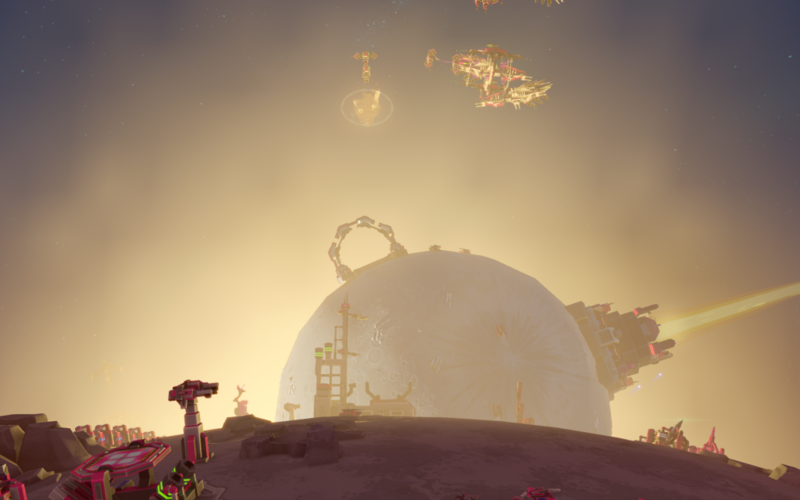 The transition to Planetary Annihilation Inc is almost complete and we have moved the website, forums and support. The support articles are being developed to provide more content relevant to issues we see reported. Like with any game though, we find most issues are caused by out-of-date drivers, especially with cross-platform OpenGL support, so please ensure you check that your drivers are up-to-date. We are targeting 15th September for the launch of our official Planetary Annihilation Discord server, though you can already sign-up. We will also be following up later with Discord rich presence support to make it easier than ever to form a party with your friends, join a game with them, or just spectate one they’re already in. In looking to the future, Classic Planetary Annihilation has been removed from sale. This will not impact existing players, the game will remain in your Steam library and Classic PA players will still be able to upgrade to TITANS at the permanent 90% off discount. New players will only see TITANS in the store, which is both backwards compatible with Classic PA lobbies and also supports switching to classic mode to host classic games. Classic PA will continue to receive updates, including the new simulation performance improvements with multithreading that Sorian is working on. Later this month we will be releasing new PTE (Public Test Environment) builds for TITANS and Classic PA with some of those improvements for you to try out. The PTE is how you can test out new features that are still under development, and we’ll be using it to get your feedback ahead of official releases. See you in Discord on the 15th! We’ll be launching an official Discord server next month. This will be a place for you to connect with other players, ask for help, share your awesome strategies and where we can engage with you to keep you informed on all the cool stuff going on.